Until I finish unpacking all of my beads and set up a more permanent work space, I will be concentrating on smaller projects. 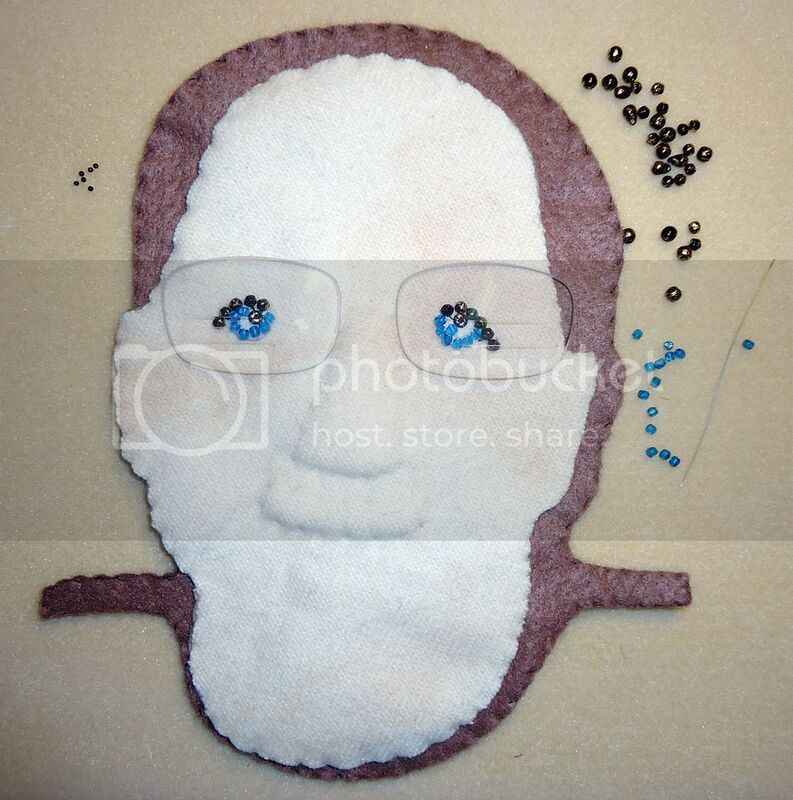 My latest piece will be a beaded portrait of a friend named Geoff. Geoff is an optometrist at Central Square Eye Care in Cambridge, MA. He was kind enough to provide me with a bag of used eyeglass lenses to use for beading projects. 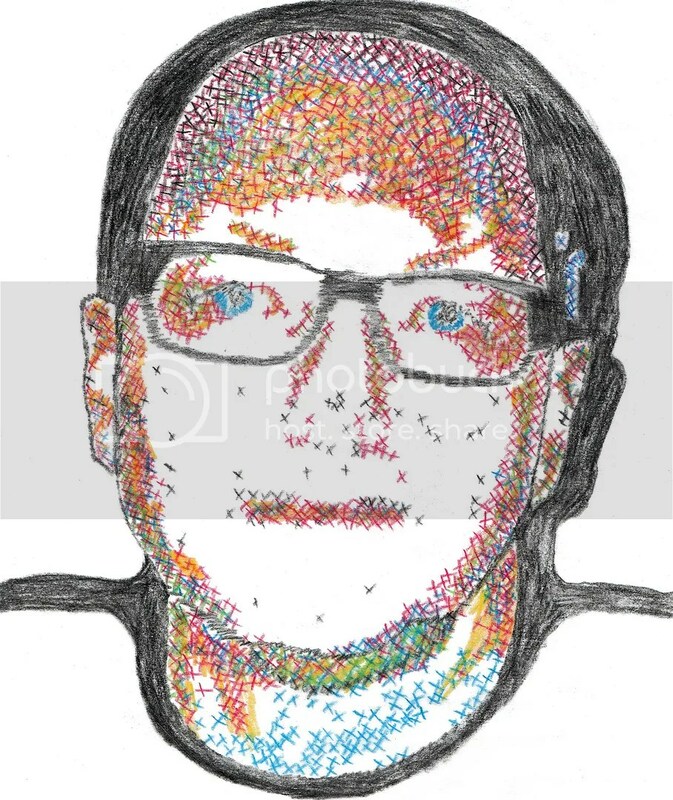 So, I thought it appropriate to create a beaded portrait of him similar to my self-portrait entitled iMac Insomniac. Several months ago, I took a picture of him, and then worked on the above colored-pencil sketch. Beaded portrait in progress. Bead embroidery on felt. 8" x 9" (20cm x 23cm). « New Beaded King Charles Spaniel Pin!